Posted: Tuesday, June 5, 2018. 6:14 pm CST. The People’s United Party (PUP) has installed 12 of 31 standard bearers in preparation for the upcoming general election. However, as the party attempts to progress, there have been some disgruntled party members such as Arthur Saldivar and Patrick Andrews who both applied to represent the party in Belmopan but were denied. 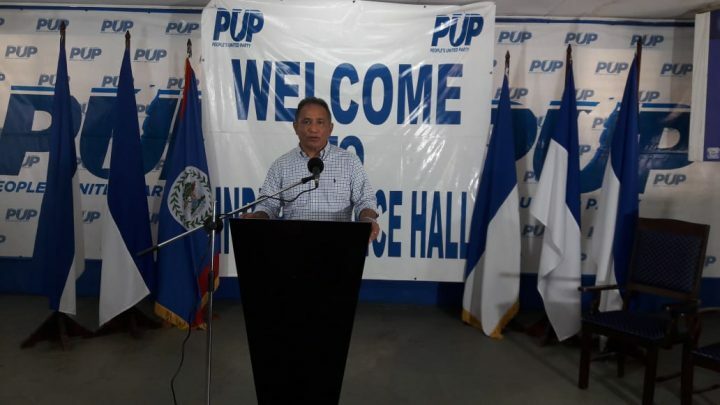 In the case of Andrews, PUP Leader, John Briceno, said that after the 2015 elections, Andrews left the Belmopan constituency vacant. He only showed up prior to the pending convention. According to Briceno, Andrews can represent the party in future elections but will have to do some work and show some commitment before being allowed to. In the case of Saldivar, Briceno explained that the National Executive of the party learned that Saldivar had been suspended by the PUP in 2015. Briceno told the press that they lifted the suspension but placed Saldivar on a two year probation during which he can also work for the party and will thereafter be allowed to contest any future election. In both cases, the PUP leader made it clear that the decision to disallow the men to contest the convention was not his alone. He explained that there was a process in place and the decision was not personal.